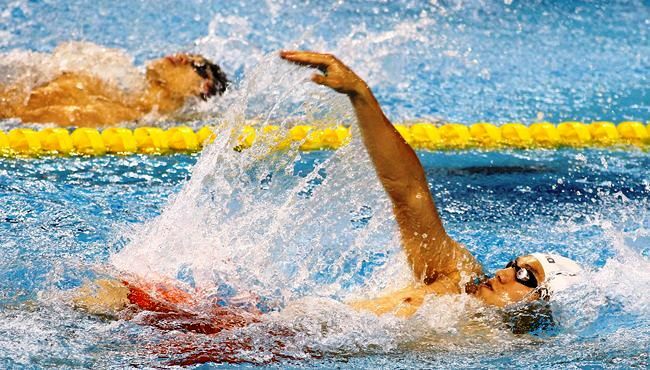 China's Furong Lin won a sixth gold medal on the final day of swimming at the Incheon 2014 Asian Para Games to become the most decorated athlete of the competition. Lin beat Indonesia's Tangkilisan Sualang by just over a second to break the Asian record and win gold in the men's S10 100 metre backstroke, touching in a time of 1min 08.74sec. It was not the only Chinese success as his compatriots dominated in the pool once again to bring the country's overhaul swimming gold medal haul to a massive 48. Jiexin Wang added a fourth gold to her tally in the women's S9 100m backstroke, while Jiaying Zhu took the honours in the S10 equivalent. The women's S8 50m freestyle title went to Yajing Huang, Dong Lu took the women's S6 50m butterfly while Xiaobang Liu beat teammate Yongjia Cui to win the men's S9 100m backstroke. Shiyun Pan claimed the spoils in the men's S7 50m freestyle. Vietnam also celebrated success as Thang Tung Vo became the second most successful male swimmer at the Games by winning his fifth gold medal in the S5 50m butterfly, swiftly followed by victory for Thanh Trung Nguyen in the men's SM5 200m individual medley. Hosts South Korea also closed with a double triumph, in the form of Wonsang Cho and Jungeun Kang, who won in the respective male and female SM14 200m individual medley races. Over at the Ongnyeon International Shooting Range, South Korea won the final two gold medals on offer to top the overall shooting standings. Jin-Ho Park and Young-Jun Jeon were the athletes to claim gold for the hosts. Park equalled the Asian finals world record with a score of 457.5 to finish ahead of Abdulla Sultan Alayrani of the United Arab Emirates in the men's R7 50m rifle three positions SH1. That reversed the result from August's World Championship final in Suhl. Park's compatriot Jin-Hwa Jeon took the bronze. Jeon prevailed in the mixed R9 50m rifle prone SH2 competition with an Asian record of his own, registering 615.7 to see off the challenge of China's Hongxiang Yuan, while compatriot Geun-Soo Kim took bronze. 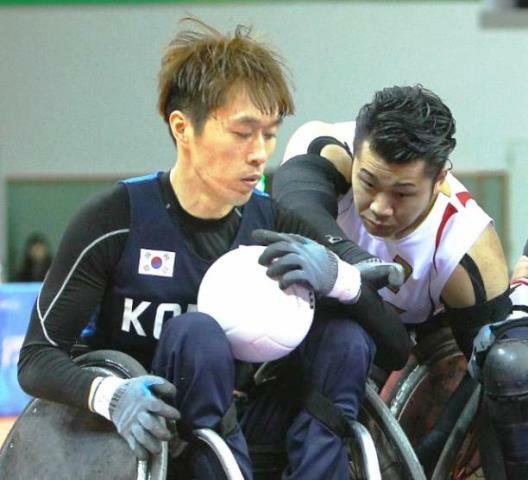 There was bad news however for the hosts in the final of the inaugural Asian Games wheelchair rugby competition as they went down 60-40 to Japan. After finishing fourth at the London 2012 Paralympic Games, Japan reinforced their position as the dominant Asian side in the sport with victory, while Malaysia defeated Indonesia 50-29 to claim bronze in both countries international debut in the sport. In the penultimate day of powerlifting competition, China, South Korea, Iran and the UAE all claimed gold and Asian records in the process. China's Xuemie Deng broke her own Asian record by one kilogram in the women's under 86kg category with a lift of 112kg to secure gold. The other women's event saw home favourite Hyun-Jung Lee awarded top spot in the under 86kg, as she was the lighter competitor than Adeline Ancheta of the Philippines after both women lifted 115kg. The UAE's Mohammed Khamis dominated the men's under 97kg division as his effort of 232kg added eight kilograms to the previous Asian record, held by Iranian Ali Sadeghzadehsalmani. Sadeghzadehsalmani will not be too disappointed however as he moved up a division to the under 107kg class and proceeded to add a 0.5kg to the previous Asian record held by Iraq's Faris Al-Ajeeli, with a fourth lift of 232.5kg. Meantime, the penultimate day of athletics action at the Asiad Main Stadium saw two world records set and an Iranian athlete to the fore again. 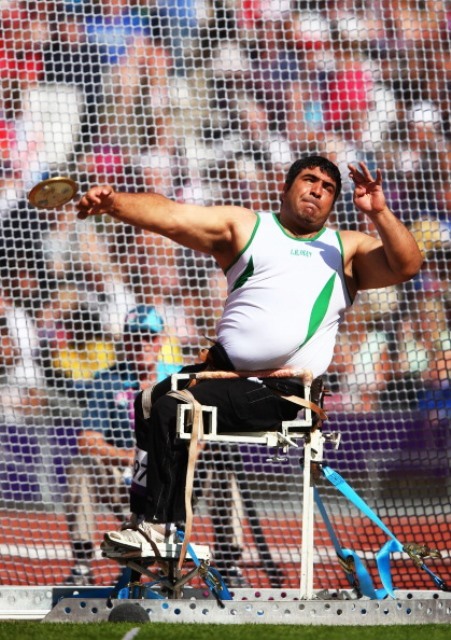 London 2012 bronze medal winner Ali Mohammadyari threw 45.49m to beat compatriot Parvis Golpasandhagh in the men's F56 discus. Japan's Yukiko Kato was the other world record breaker on the day as she took the women's F20/41/46 shot put title with an effort of 12.21m. A fine day for Iran in Incheon continued as six more golds were secured by Hassan Asgari, Abdolreza Jokar, Seyed Hosseini Geshnigani, Jalil Bagheri Jeddi, Masoud Heidari and Javod Ehsani Shakin. Five of those came in field events while Asgari's win came in the men's T12 800m. Jokar triumphed in the men's F53/54 javelin while Jeddi secured the men's F55/56 shot put crown. Geshnigani, Heidari and Shakin dominated the men's discus events in the respective F35/36, F12 and F57 classes. It was a successful day for Japan on the track also as Hirokazu Ueyonbaru powered to victory in the men's T52 800m while Keita Sato scooped the men's T44 100m title. Sato then went on to win the men's T42-47 100m crown in tandem with Tomoki Tagawa, Toru Suzuki and Atsushi Yamamoto. There was a clean sweep of the podium for Thailand in a close men's T54 800m final as Saichon Konjen emerged victorious ahead of Rawat Tana and Prawat Wahoram. Meanwhile, China also secured a customary haul of gold medals, highlighted by Huzhao Li winning the men's T53 800m, Lisha Huang bagging women's T53 100m gold, Guangxu Shang topping the podium in the men's T37 100m and women's T12 100m honours going to Guohua Zhou. The 2014 Asian Para Games conclude tomorrow.